The Downtown Las Vegas music, art and entertainment scene has become very vast and varied. 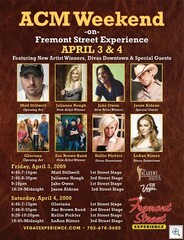 For some extra variety, April 3rd and 4th is ACM Weekend at the Fremont Street Experience. The Acadamy Of Country Music will be hosting multiple acts on both the 1st Street Stage and the 3rd Street Stage. Sunday night at the MGM is the ACM Awards show as well. I’m told it’s sold out already. 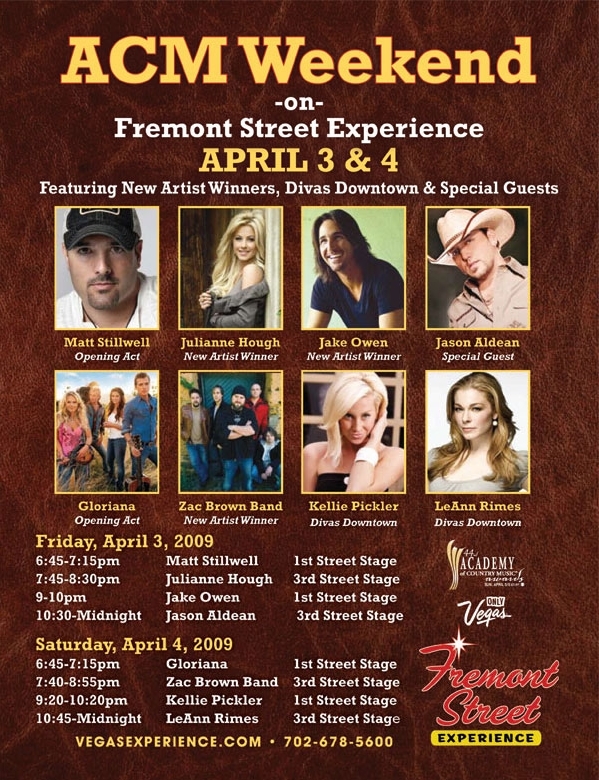 Of course Friday Night the 3rd is also First Friday, which I usually mention on the Monday before, but since you’re ALL coming down for First Friday anyway, you might as well put the Fremont Street Experience and the ACM weekend event on you agenda as well.